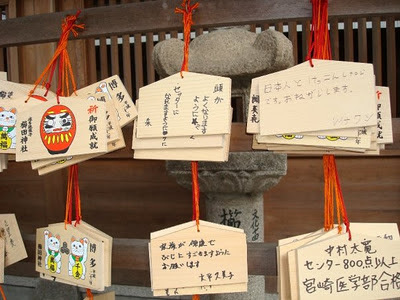 The last time we were in Japan, Big Sissy pointed the one at the top right out to me. "Be careful what you wish for," she told me, smiling. I had to laugh. She knows me pretty well after all these years. 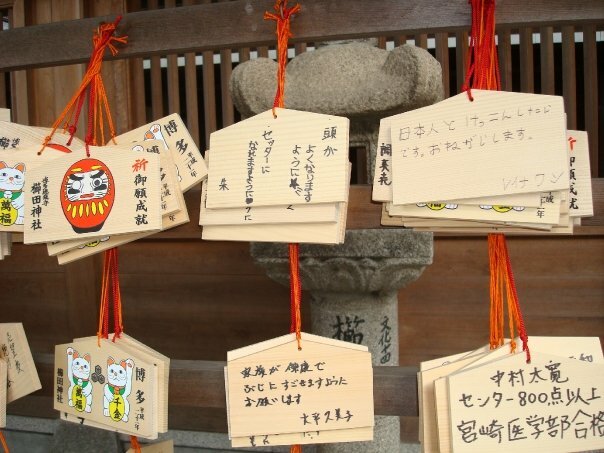 The one on the top right reads (in beginner's Japanese), "I want to marry a Japanese person. Please."